Active vision is inherently attention-driven: an agent actively selects views to attend in order to rapidly perform a vision task while improving its internal representation of the scene being observed. 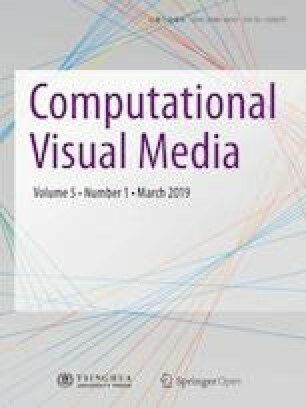 Inspired by the recent success of attention-based models in 2D vision tasks based on single RGB images, we address multi-view depth-based active object recognition using an attention mechanism, by use of an end-to-end recurrent 3D attentional network. The architecture takes advantage of a recurrent neural network to store and update an internal representation. Our model, trained with 3D shape datasets, is able to iteratively attend the best views targeting an object of interest for recognizing it. To realize 3D view selection, we derive a 3D spatial transformer network. It is differentiable, allowing training with backpropagation, and so achieving much faster convergence than the reinforcement learning employed by most existing attention-based models. Experiments show that our method, with only depth input, achieves state-of-the-art next-best-view performance both in terms of time taken and recognition accuracy. Min Liu is a Ph.D. candidate in the School of Computers, National University of Defense Technology. He received his B.S. degree in geodesy and geomatics from Wuhan University and M.S. degree in computer science from National University of Defense Technology in 2013 and 2016, respectively. He is visiting the University of Maryland at College Park from 2018 to 2020. His research interests mainly include robot manipulation and 3D vision. Yifei Shi received his B.S. degree in geodesy and geomatics from Wuhan University and M.S. degree in computer science from National University of Defense Technology in 2012 and 2015, respectively. He is pursing a doctorate in computer science at the National University of Defense Technology. His research interests mainly include data-driven scene understanding, RGBD reconstruction, and 3D vision. Lintao Zheng received his B.S. degree in applied mathematics from Xi’an Jiaotong University and M.S. degree in computer science from the National University of Defense Technology in 2013 and 2016, respectively. He is pursuing a doctorate in computer science at the National University of Defense Technology. His research interests mainly include computer graphics, deep learning, and robot vision. Kai Xu is an associate professor at the School of Computers, National University of Defense Technology, where he received his Ph.D. degreee in 2011. He conducted visiting research at Simon Fraser University during 2008–2010, and Princeton University during 2017–2018. His research interests include geometry processing and geometric modeling, especially on data-driven approaches to the problems in those directions, as well as 3D-geometry-based computer vision. He has published over 60 research papers, including 21 SIGGRAPH/TOG papers. He has organized two SIGGRAPH Asia courses and one Eurographics STAR tutorial. He is currently serving on the editorial boards of Computer Graphics Forum, Computers & Graphics, and The Visual Computer. He also served as paper co-chair of CAD/Graphics 2017 and ICVRV 2017, as well as a PC member for several prestigious conferences including SIGGRAPH Asia, SGP, PG, GMP, etc. His research work can be found in his personal website: https://doi.org/www.kevinkaixu.net. Hui Huang is Distinguished Professor, Founding Director of the Visual Computing Research Center, Shenzhen University. She received her Ph.D. degree in applied math from the University of British Columbia in 2008 and another Ph.D. degree in computational math from Wuhan University in 2006. Her research interests are in computer graphics and vision, focusing on geometric modeling, shape analysis, point optimization, image processing, 3D/4D acquisition, and creation. She is currently an Associate Editor-in-Chief of The Visual Computer (TVC) and on the editorial boards of Computers & Graphics and Frontiers of Computer Science. She has served on the program committees of almost all major computer graphics conferences including SIGGRAPH Asia, EG, SGP, PG, 3DV, CGI, GMP, SMI, GI, and CAD/Graphics. She was a CHINAGRAPH 2018 Program Vice-Chair, in addition to SIGGRAPH Asia 2017 Technical Briefs and Posters Co-Chair, SIGGRAPH Asia 2016 Workshops Chair and SIGGRAPH Asia 2014 Community Liaison Chair. She is the recipient of an NSFC Excellent Young Scientist Award, Guangdong Technological Innovation Leading Talent Award, CAS Youth Innovation Promotion Association Excellent Member Award, Guangdong Outstanding Graduate Advisor Award, CAS International Cooperation Award for Young Scientists, and CAS Lujiaxi Young Talent Award. She is also a CCF Distinguished Member and ACM/IEEE Senior Member. Dinesh Manocha is the Paul Chrisman Iribe Chair in Computer Science & Electrical and Computer Engineering at the University of Maryland at College Park. He is also the Phi Delta Theta/Matthew Mason Distinguished Professor Emeritus of Computer Science at the University of North Carolina Chapel Hill. He has won many awards, including Alfred P. Sloan Research Fellow, NSF Career Award, ONR Young Investigator Award, and the Hettleman Prize for scholarly achievement. His research interests include multi-agent simulation, virtual environments, physically-based modeling, and robotics. His group has developed a number of packages for multi-agent simulation, crowd simulation, and physics-based simulation that have been used by hundreds of thousands of users and licensed to more than 60 commercial vendors. He has published more than 480 papers and supervised more than 35 Ph.D. dissertations. He is an inventor of 9 patents, several of which have been licensed to industry. His work has been covered by the New York Times, NPR, Boston Globe, Washington Post, ZDNet, as well as DARPA Legacy Press Release. He is a Fellow of AAAI, AAAS, ACM, and IEEE and also received the Distinguished Alumni Award from IIT Delhi. See https://doi.org/www.cs.umd.edu/dm. We thank the anonymous reviewers for their valuable comments. This work was supported, in part, by National Natural Science Foundation of China (Nos. 61572507, 61622212, and 61532003). Min Liu is supported by the China Scholarship Council.